The investigation into Caitlyn Jenner’s Malibu car crash in February, which left one person dead, has the former Olympian’s fate hanging in the balance. A spokesperson for the Los Angeles County Sheriff’s Department told TheWrap Thursday that its official report on the crash is completed, and the case will be submitted to the Los Angeles County District Attorney’s Office next week. Detectives said there is a “50/50 chance” that Jenner will be charged. TheWrap asked some of Hollywood’s top wrongful death attorneys where E!’s “I Am Cait” reality star would be incarcerated if convicted of misdemeanor manslaughter. “A transgender person who has not made the transition physically will be assigned to the prison of their genetic birth gender, while those who have had reassignment surgery will generally go to the prison of their reassigned gender,” attorney Marvin Putnam, a partner at Latham & Watkins LLP, told TheWrap, so “a woman born in a man’s body will go to a male prison,” and vice versa. Due to Jenner’s unique circumstances, “I am sure for her safety they will make special arrangements and keep her out of gen pop [general population], depending on what she is doing medically. They couldn’t do anything that would hurt her or just cut off her treatment,” personal injury attorney Kevin Boyle of Panish Shea & Boyle continued. Jenner has not publicly stated whether she has undergone gender reassignment surgery yet or if and when she plans to have the operation. 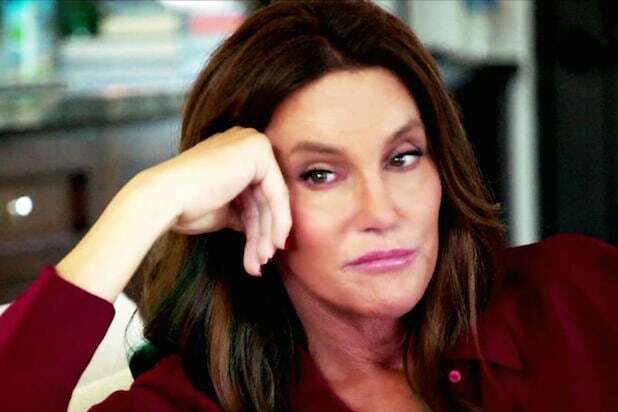 Meanwhile, Putnam, a successful trial lawyer, does not believe that criminal charges will be brought against Jenner as she reportedly was not speeding, texting or smoking at the time of the accident, all of which were initially claimed. While Jenner wasn’t found to be speeding either, it may be ruled that she was driving too fast for the day’s road conditions or too close to the car in front, based on footage that was captured by a camera on an MTA bus. “The maximum sentence in California for mere negligence is one year,” Putnam said, comparing Jenner’s case to singer Brandy’s December 2006 car crash. “There the state decided to not bring criminal charges for vehicular manslaughter despite the victim’s family bringing a wrongful death action against the singer,” he explained. The fatal accident happened after a Toyota Prius (driven by Jessica Steindorff) stopped on Malibu’s Pacific Coast Highway. Kimberly Howe, a 69-year-old widow from Calabasas, California, was driving a white Lexus, which then struck the Prius. Jenner’s Cadillac Escalade, towing a trailer at the time, proceeded to rear-end the Lexus, and pushed it head-on into a Hummer. Howe was pronounced dead at the scene and seven others were injured. Howe, who lived in a $2.5 million house in a wealthy neighborhood in the hills west of the San Fernando Valley, did not have any children but her stepchildren, Dana Redmond and William Howe, filed a wrongful death lawsuit against Jenner in July, claiming she was “driving erratically” in the moments prior to the crash. The lawsuit alleges that Jenner’s vehicle hit Howe’s car, pushing it into oncoming traffic. Jenner has contended that Redmond and Howe weren’t financially dependent on the victim and thus are not entitled to damages in Howe’s death. “The wrongful death civil suit is going forward regardless of whether the authorities bring about a criminal case,” Boyle explained. Whatever the outcome of a criminal or civil case, Jenner’s docuseries “I Am Cait” is not expected to be affected, as Season 1 has already wrapped production.